The first step is to marinade the lamb to give it time to penetrate the meat while the rest of the dish is being prepared. 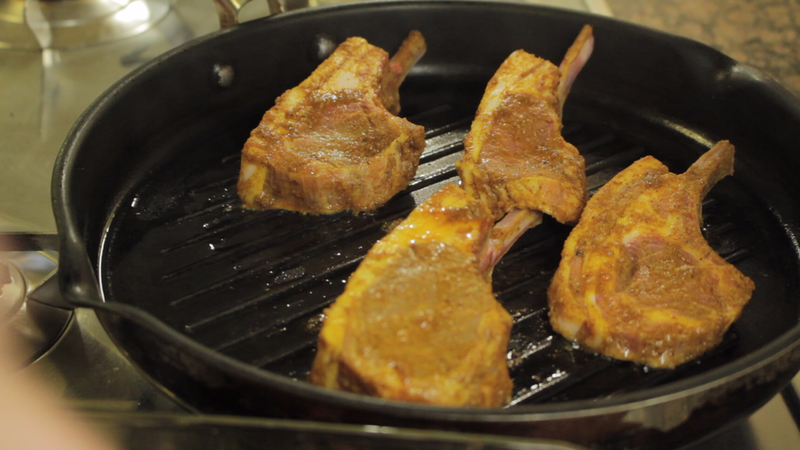 Cut the rack of lamb into single cutlets and place them into a dish along with the spices, lemon juice, garlic and olive oil. Get your hands in and give it a good mix so all the lamb is coated. Do not add any salt at this stage as it will draw out moisture from the lamb. Set aside for the marinade to do its thing. For the raita simply chop the cumber into small cubes and place in a bowl along with finely chopped mint, the juice of half a lemon, sea salt and the tub of yoghurt. To make the tomato salsa crush the garlic in a pestle and mortar along with some sea salt to ensure maximum flavour is extracted. Next simply roughly chop the cherry tomatoes and the chilli and add to the mortar. Finish by adding chopped coriander and the juice of 1 lime and combine. 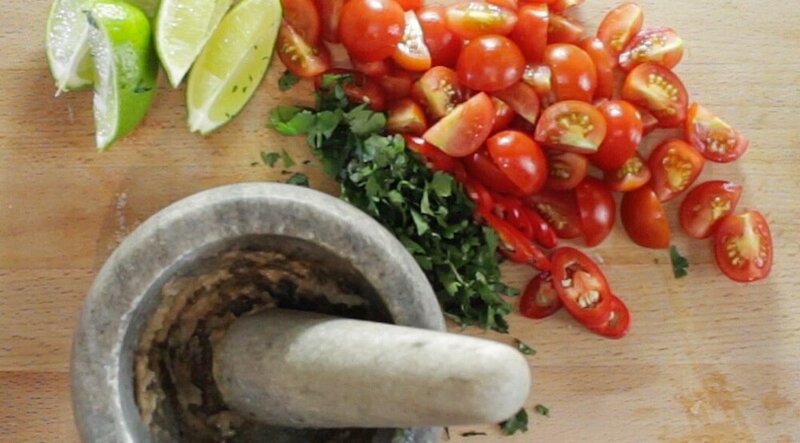 Don't overdo it with the pestle though as you are looking for a rustic style salsa rather than a puree. 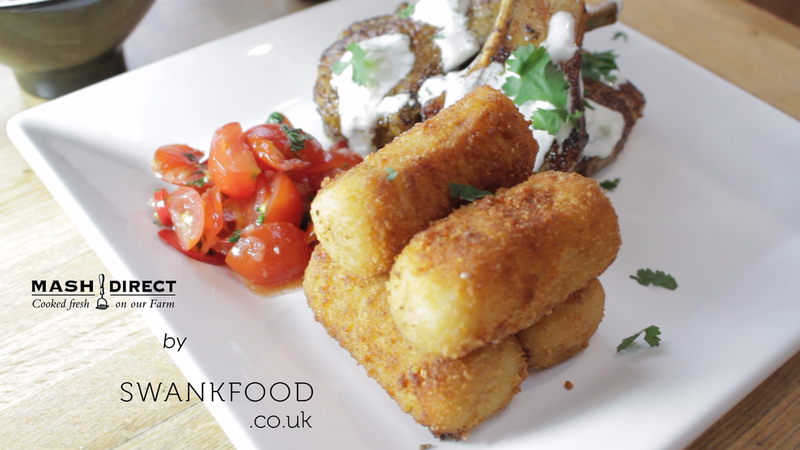 The potato croquettes are simple as they just need a light dusting of spices to enhance their flavour and to tie them in with the lamb. Grind the mustard seeds in the pestle and mortar and add the chilli powder and onion granules. Mix well and cover the croquettes before placing on the oven for 20 minutes at 180°c. While the potato croquettes are in the oven, heat a frying pan, add olive oil and cook the Lamb cutlets for 4 minutes on each side. Ensuring the go a lovely golden-brown colour but still medium rare in the middle. Serve by drizzling the lamb with the raita with the tomato and garlic salsa on the side!